Quality Monuments provided to Gaithersburg, MD. Quality Monuments and Headstones are offered to residents of Gaithersburg, MD and surrounding areas. 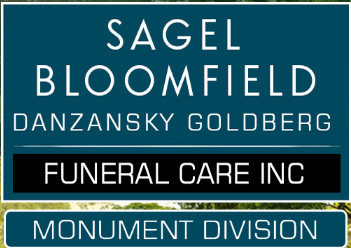 SB Monuments is a special division of Sagel Bloomfield. They will create a tribute of uncompromising quality and value to honor the life of any family’s loved one. One of the memorial consultants can advise accordingly. Whether one uses the term headstone or grave monument, the key is the family’s satisfaction in selecting a memorial. The process should not be rushed. A monument is a lasting symbol and recorded history of the life of a family member. From the quarry, the finest granite is cut and delivered to our master artisan for carving and polishing. They work with stone, marble, wood, slate, and a variety of metals. Skilled artisans and artists take pride in every step of monument creation. Their skills have been honed over many years. Their touch is deft. Their artistry second to none. The designing process and its transfer to stone, the delicate handwork, carving, engraving, and polishing goes into every stone. The critical measurements that ensure perfection gives the family a result is a finished product that is a fitting memorial to a life’s special journey. By controlling the full process, start to finish, SB Monuments assures every family of the finest artisanship delivered most efficiently and at the lowest cost. SB Monuments can also do On-site Cemetery lettering. The carving of one’s name into stone is a lasting and final tribute. The lettering is engraved by skilled and trained professionals who take great care in creating beautiful custom inscriptions. The industry’s top builders and artisans build SB Monuments Mausoleums to create a custom private mausoleum — a legacy to stand the test of time. SB Monuments also offer a full array of memorial maintenance and repair services. Monuments and memorials are a cherished, lasting reminder—whether of beloved individuals or honoring those who sacrificed for others. But time, the elements or vandalism can deteriorate and mar existing monuments and plaques. The effects of these factors can call for restoration or cleaning that goes beyond the scope of routine maintenance. SB Monuments is committed to the preserving and rehabilitating of the families cherished monuments and memorials. Whether the monument – personal or civic – requires cleaning, repair or major restoration, SB Monuments can call upon the wide range of talented artisans and sculptors on hand who will provide an unmatched level of caring, detailed work that brings the families important tribute back to its original integrity. SB Monuments can personally guide the family through the restoration options and assist them in returning the memorial to peak condition for the benefit of future generations. They service all cemeteries not only in Maryland but all over the USA.